There are a few things you'll want to check if Exodus is not detecting your hardware wallet, other than it being properly plugged in with a working cable! Have you set up your Trezor? Make sure you are in a private place when going through these steps. 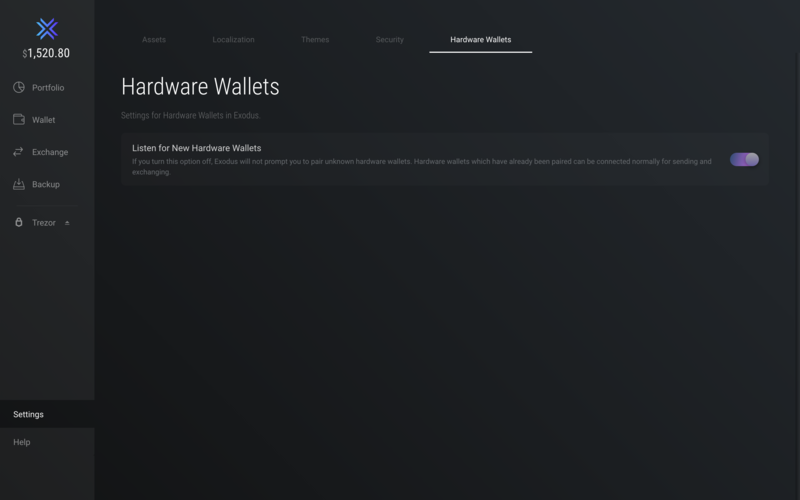 Is Exodus listening for your hardware wallet? You'll also want to make sure your pin-protected Trezor is unlocked or else Exodus will not connect to it. 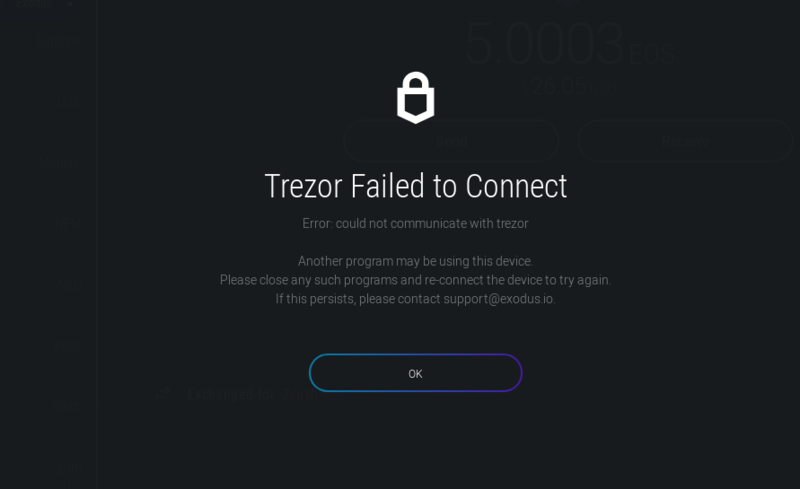 You can unlock your Trezor Model T by entering your pin directly on the device. 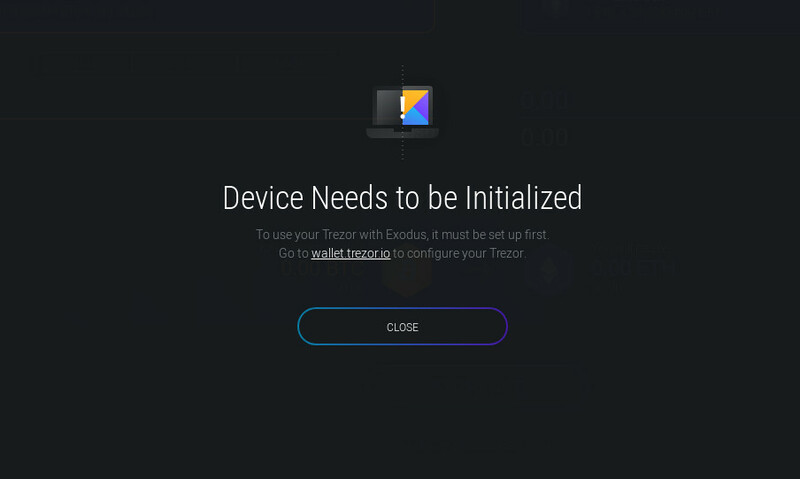 Your Trezor One can be unlocked by entering the pin in Exodus. Do you have Trezor Bridge installed? Is another application using your Trezor? Although you can use your Trezor with several applications, using it simultaneously with other apps may disrupt the communication between your Trezor and Exodus. It's best to quit any other apps like Electrum, wallet.trezor.io, MyEtherWallet, etc. that may be connecting to your Trezor while it is connected to Exodus. If the error persists, contact us to troubleshoot.